Oscar Guerrero, Tata Nganga, will be making a guest appearance on Yeyefini Efunbolade’s workshop entitled “Honoring Your Ancestral Spirits” this coming Sunday April 15th 3:00 – 5:00 pm. He will be speaking specifically about our relationship with spirits as Palo initiates as well as addressing some common misconeptions surrounding Palo. Access will be available via a conference phone number. Please join me on Sunday April 15Th 3:00-5:00 pm. For This Powerful , Life Enhancing event!!!! Oscar Guerrero is a Tata Nganga (Priest of Palo Mayombe) He was first initiated into Palo in 1995 in the lineage Sarabanda Corta Lima Makiribono Bacheche an later In 2003 he became a Tata in Kimbisa con Mayombe Guanofilo con Mulenda Santo Cristo Buen Viaje which stems from Tata Roque Zamora of Parraga, Municipio de Arroyo Naranjo, Havana Cuba . He is also an Olorisha, Oni-Yemoja and has dedicated most of his religious life to the study of Palo. 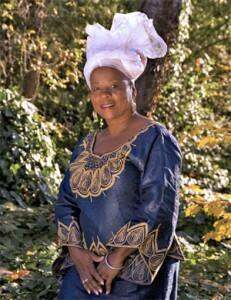 Iyalode Yeyefin Efunbolade is the President of YEYEFINI.com, Priestess of Obatala and Director of the International Institute of African Studies and Knowledge.Inc.